May 22, 2018 – by Ryan Van Velzer, WFPL-Lousiville. But the country’s energy grid is undergoing a transformation and market forces are pushing older coal-fired power plants like Henderson’s into retirement, while alternatives like wind, solar and natural gas are taking its place. 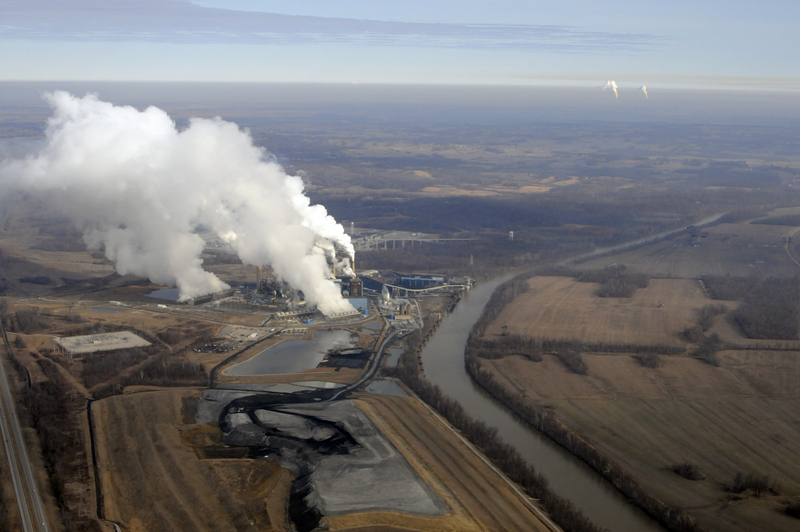 For most of the last 50 years, Henderson — a small city on the Ohio River — has run on coal power. The coal is locally sourced: all of it comes from Western Kentucky coal fields from within a 30 miles radius, said Henderson Mayor Steve Austin. The coal is burning a lot cleaner these days, but it’s not burning as often. In the last six months, Henderson began purchasing most its electricity on the open market, only turning on the plant generators when necessary, said Austin. The city is kind of unique in that it owns its own power plant, Station Two, which went online in the early 1970s. Historically, it’s provided some of the cheapest electricity in the state. The city pays the power company Big Rivers to operate Station Two. But earlier this month, Big Rivers cut its contract with the city, saying it was no longer profitable for it to keep running the plant. Henderson historically has taken its cut of the power for the city and left Big Rivers to sell the rest on the open market. But right now, it costs about 33 times more to produce energy from Station Two than it does to buy it on the open market. Now, Henderson has to decide whether it wants to continue running the plant without Big Rivers, or just close it down all together. All across the country, older coal-fired power plants are retiring. Glenn McGrath with the U.S. Energy Information Administration says market forces and technology are reshaping the country’s energy grid. No plant closes for the same reasons, but similar forces are pushing coal out of the energy market all across the country, he said. 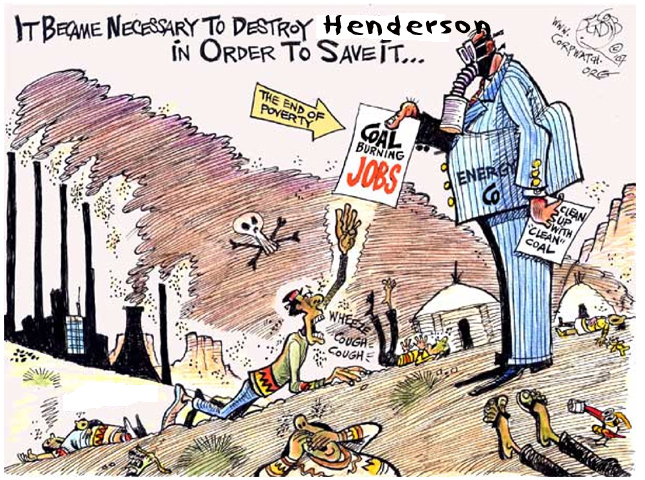 First, older coal power plants, like Henderson’s, use outdated technology. The old plants just aren’t as efficient at converting heat into energy. Then there’s the costs to keep up with changing environmental regulations, and the costs to compete with alternatives from wind, solar and the glut of natural gas in the country. “There have been a lot of new natural gas plants built so they are new, they are efficient, they are operating on a cheap fuel so it makes it a really tough and competitive environment for coal and Henderson is facing that,” McGrath said. McGrath pointed to the Midwest and the Mid-Atlantic as particularly hard hit, including Pennsylvania, West Virginia and Ohio. That’s in part because of the natural gas boom in the region. Producers are tapping into huge reserves in the Marcellus Shale, which stretches throughout Northern Appalachia into New York. There’s also less demand for new energy capacity than in the past, McGrath said. Most of the new need for electricity over the last two decades has been in residential, he said. But much of that growth has flatlined because of advances in energy-efficiency, including refrigerators, washing machines and LED lights. The decision of what comes next for the city of Henderson falls largely on one person: Chris Heimgartner, the utility manager for Henderson Municipal Power and Light. “What you’re seeing right now is a shakeout of the less efficient plants and they’re going offline, and Station Two may be one of those,” he said. Compare it to driving a vintage car, he said. Everyone once in a while you see a Ford Model T driving on the road. Now think of how that costs to maintain versus a modern Ford sedan, Heimgartner said. And even after all those renovations, Heimgartner still sees coal as a gamble. “If you’ve got a coal plant that you are building today that is fully compliant with today’s regulations, you could have a requirement for carbon capture and sequestration that would make that whole thing uneconomic,” he said. But Heimgartner is also concerned about depending too much on natural gas for Henderson’s energy future. Natural gas prices have a history of volatility and although it’s unlikely prices will rise to where they were before the Great Recession, Heimgartner said it’s wise to diversify the city’s energy mix. Heimgartner has considered about a dozen different market scenarios and thinks the best way forward for Henderson will likely involve a combination of buying energy on the open market, building a natural gas plant and perhaps, adding renewables like solar. Kentucky’s Public Service Commission is currently reviewing Big Rivers’ decision to terminate its contract. If they agree, the city has until next summer to come up with a plan.